During the late 1850s, prospectors struck gold in Montana. And by the turn of the century, thriving boomtowns were scattered throughout the state. Once the gold disappeared, so did the people, turning the once wild and roaring mining camps into historic ghost towns in Montana. Over the years, millions of dollars of gold, silver, copper, zinc and other precious ores have been taken from the landscape. Today, these towns stand as a reminder of the past and the miners, families and men and women who made a living working the mountains and streams here. Listen closely and you may hear the sounds of a piano melody from an old saloon floating through the empty streets. And who knows, you may even catch a glimpse of a long-forgotten miner clutching a cache of gold. One of the earliest towns in the Bearmouth area, this present-day ghost town yielded $1 million in gold and silver in 1866, housed the notorious "Beartown Roughts," sought to be Montana's capital and then died out. Local folklore says that a Chinaman buried a fortune in a five-pound baking can and adventurers today are still on the hunt to find it. Active from 1893 - 1906, Coloma is often referred to as "Mystery Camp" as very little is known about it. Mining in the Coloma area has been active on and off throughout the years, while mines near the site still remain. The structures standing today are dated by old newspapers and catalogs that were used to insulate cabin walls. Located off Interstate 90 between Drummond and Missoula, Coloma is also accessible from the Garnet Range Road southeast of MT 200 and is located a few miles north of Garnet. Garnet Range Road makes a circular route for 13 miles through old mining campsites, including Reynolds City, Springtown, Beartown and Garnet. Located about 30 minutes east of Missoula at 6,000 feet in the Garnet Mountains is the aptly named ghost town of Garnet. The area is now mostly under the administration of the Bureau of Land Management (BLM). Named for the ruby-colored stones found nearby, Garnet became a boomtown with the discovery of gold in the 1850s. Today, this well-preserved ghost town offers a glimpse of life in a turn-of-the-century gold camp while some 20 buildings still remain, including a jail, post office, blacksmith shop, school, cabins and a hotel. During the winter months, travelers can rent a primitive cabin in Garnet with access via snowmobile or cross-country skis and snowshoes. 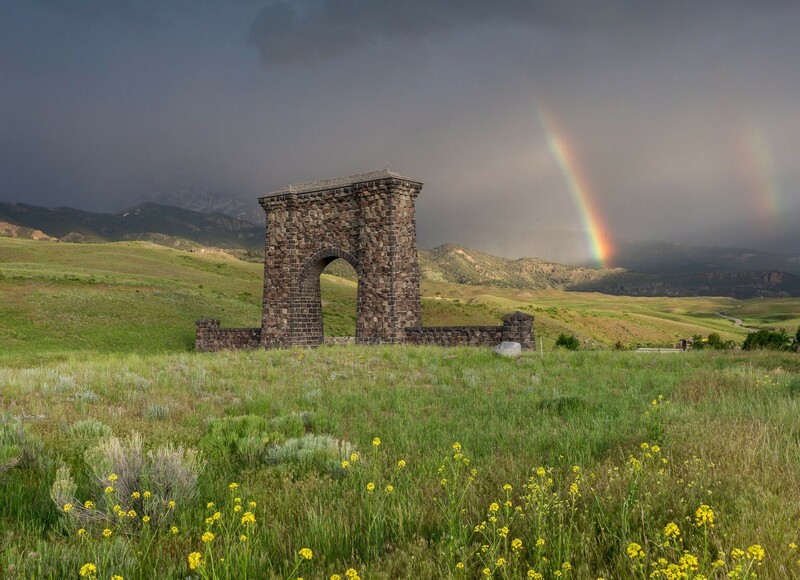 Located 3 miles north of Missoula is Hell Gate Ronde, a small settlement that was home to a trading post built by Frank Worden and Christopher Higgins in 1860. During the winter of 1863 — 1864, local settlers worried about members of Henry Plummer's gang loitering here, until a posse from Alder Gulch rode in and hanged them all. In a remote area off U.S. Highway 2 in Montana's northwest corner called The Yaak sits the ghost town of Keystone, in some of the state's wildest country. While a major strike was never found, the mine did produce a hefty amount of gold. Located on a mountainside in Hall Gulch 10 miles north of Superior, Pardee was once home to a saloon, boarding house, dance houses, post office and various mining structures and cabins. At one time, Pardee's Iron Mountain Mine was said to be one of the most profitable silver mines in Montana, yielding a half million dollars in profits in eight years, before it was shut down in 1897. Once described as the "wickedest city in America..." by the Chicago Tribune, Taft was said to have 200 - 500 prostitutes and one "decent" woman who made their home here. Today, the ghost camp is made up of a few unoccupied frame buildings, while during its heyday it was home to 2,000 inhabitants, saloons, gambling houses and dance halls. It was also a frequent stop for bootleggers.